The Scottish National Party have announced their candidate for the Turriff & District ward at the forthcoming Aberdeenshire Council elections is Rothienorman resident Alastair Forsyth. Alastair has been married for 43 years to Alicia and has two children; a daughter who is a Paramedic in Edinburgh and a son who is a Farm Foreman in East Lothian. Alastair is a retired senior supervising technician with Proserv, but started his working life in the Merchant Navy before joining the Army where he served for nine years in the Royal Artillery as a Surveyor and Technician and saw active service for two tours of Northern Ireland, the latter as a Search Team Commander. On completing the tour he was awarded with a GOC’s (General Officer Commanding) Commendation. Alastair was Non Commissioned Officer for seven years. On leaving the Army, Alastair entered financial services, firstly with the Prudential Assurance Company as a District Agent and latterly moving to the Royal Bank of Scotland working in various departments within the Bank.After 18 years in Financial Services, a change of career led Alastair to join a small engineering company where he was part of a management buy-out and continued to play a part in the development of the company as a Senior Supervising Technician. I’m very proud to have been selected to stand for the SNP in my home area and look forward to a positive campaign. I’ve been impressed with the SNP as part of the coalition running Aberdeenshire for the past two years and believe they brought some fresh thinking to the council. 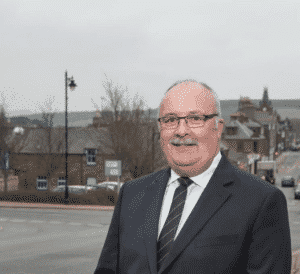 In particular, the commitment to make improvements to the A947, the programme of new council house building, reducing the number of teacher vacancies, and support for local business have all been well-received locally.